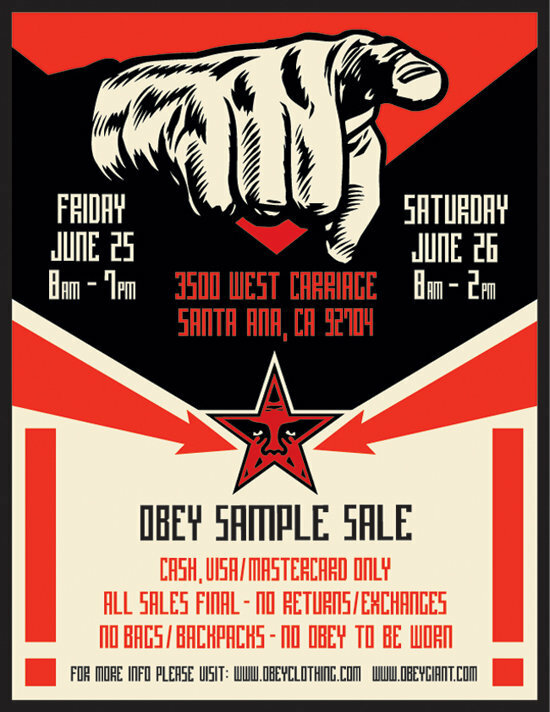 OBEY wants YOU to go to their sample sale in Santa Ana, CA next week. Last month, we got to check out an OBEY pop-up shop in NYC. You West Coast cats def do not wanna miss out on this sample sale. We wonder if they’ll have pieces from their current mens and womens summer collections … The suspense!